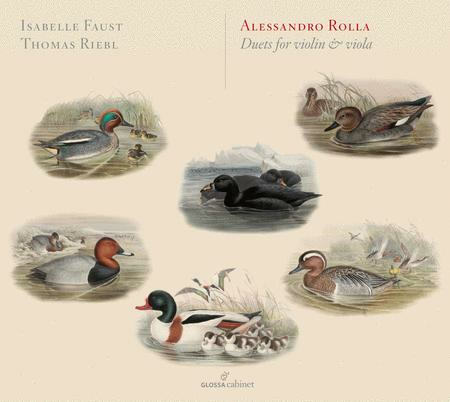 By Isabelle Faust; Thomas Riebl. By Alessandro Rolla (1757-1841). Classical. Listening CD. Published by Glossa Music (NX.GCDC80021). With this 2002 recording originally issued on the Swiss Pan Classics label, violinist Isabelle Faust and violist Thomas Riebl acquaint us with a composer of great distinction, Alessandro Rolla, who would have been otherwise completely forgotten if for some time he hadn't been regarded (incorrectly as it turns out) as the teacher of Nicolo Paganini. The confusion which ensued is enabling us now to encounter some excellent pieces of chamber music by a composer who was the music director at La Scala during the first three decades of the nineteenth century.